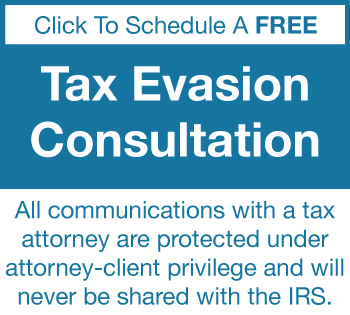 If I am being charged with tax evasion how can a tax attorney help me? In the event that you're being charged with tax evasion or you're involved in an irregular civil audit and that the tax evasion issues come up, please give me a call. I'm more than happy to go over the case. We'll talk about each one of the potential issues. We'll put together a strategy for each of the issues. We'll discuss each one of the documents that are relevant in the case, and we'll put together a strategy on how best to deal with either the revenue agent or with the special agents, or the Department of Justice. Any conversation between you and I is protected by the attorney client privilege, and any documents that you and I share with one another are protected by the attorney work product privileges. How does the IRS find tax evasion? The IRS finds most of its tax evasion cases from either income tax audits or from payroll tax audits. The revenue agent that's auditing goes in and takes a look and sees if they can find significantly understated income or significantly overstated deductions, or that you're paying your employees in cash. In the event that the IRS does discover tax evasion, they will ask to interview you and they will ask you a serious of why questions, why didn't you do those type of things. Those are the questions you don't want to answer because that tends to show specific intent. The IRS revenue agent is looking for badges of fraud. The full list of badge of fraud are listed on my website, but some of the common ones are significantly understated income, overstated deductions, paying workers in cash, false entries on books, double set of books, or using a foreign bank account to either hide assets or income. The number one badge of fraud is the lie or the false statement. 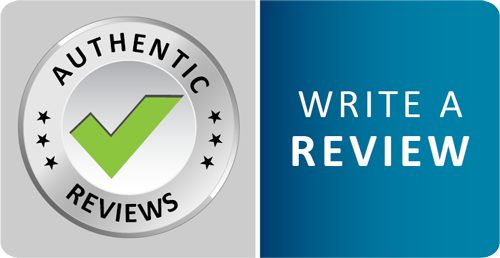 Now, a lie or a false statement is where the revenue agent can get you to either say something or take a look at your statements and prove that there's an inconsistency between what you tell the IRS special agent, and what shows up in your books and records. Any conversation between you and I is protected by the attorney client privilege and any documents that you and I share with one another are protected by the attorney work product privileges. Generally, anyone can be prosecuted for tax evasion. The most common people are either officers, directors or share holders of corporation that are intimately involved in the business and have control of the books and the records and the bank account. Those are the people that the IRS generally look at for tax evasion at a corporate level. On an individual level, what they look at is the people that sign the tax return, the husband, the wife or anyone that signs the tax return. They can also look at accountants, go after accountants, bookkeepers, tax preparers, in the event that they were involved in the tax evasion. Another thing that they'll do, is that in the event they're proceeding against the husband and wife or the officer, director or shareholder of the corporation, they'll use the accountant as the best witness against you. They'll try to get the accountant to turn state's evidences and be a witness against the taxpayers themselves. Any conversation between you and I is protected by the attorney-client privilege and any documents that you and I share with one another are protected by the attorney work-product privileges. What qualifies as an attempt to evade taxes under the tax evasion statute ? An attempt to evade taxes are generally badges of fraud. The IRS will look at badges of fraud to determine specific intent. Some of the most common badges of fraud are false statements, a double set of books, corporations that are used in a way in order to evade taxes. Those are the general ones. The full list of badges of fraud are on my website. If you have any concerns about those, please give me a call. I'm more than happy to talk to you about this. Any conversation between you and I is protected by the attorney-client privilege and any documents that you and I share with one another are protected by the attorney work-product privileges. When will I know if the IRS is auditing me for tax evasion? It's difficult to know when the IRS is investigating you for tax evasion, but there are some clues. The biggest clue is if you're going through an income tax audit or a payroll tax audit and the Revenue Agent is intimately involved in the case for the first several months, and then, all of a sudden, they became absent for one, two, three, four months, that they don't return phone calls, they don't respond, they don't ask for additional information under the information document request forms, that's your biggest indication that the Revenue Agent is going to his group manager. Then, going to IRS District Counsel in order to ask to see if this is a potential tax evasion case. That's your best indication of the IRS proceeding against you criminally. If that's the case, or if you have any concerns about that, please contact a Tax Attorney as soon as reasonably possible in order to build up your defense early in the case. Any conversation between you and I is protected by the attorney/client privilege and any documents that you and I share with one another are protected by the attorney work product privileges. What is the statute of limitations for tax evasion? The statute of limitations for tax evasion is six years. It's not like the three year statute of limitation. It's directly six years. It's six years from the last overt act until the time the assistant U.S. Attorney files charges against you. The difference between tax avoidance and tax evasion is tax avoidance is perfectly legal, and has been supported by U.S. Supreme Court cases. Tax avoidance is where you structure your business transactions and your personal affairs to get the greatest benefit allowed by tax law. That's perfectly legal. Tax evasion, on the other hand, is not legal. That's where you specifically intend to either under report income, or overstate deductions on your business or personal income tax returns or payroll tax returns, in order to get a tax benefit that's not allowed by law. In order to determine typical tax evasion, the IRS looks at badges of fraud. Common badges of fraud are significantly understated income, significantly overstated deductions, making false statements on the tax returns, having a foreign bank account that you don't report to the IRS. Those are typical badges of fraud. Other badges of fraud include making false entries in a QuickBooks type accounting program, making a double set of books, or using several corporations including foreign corporations, in order to hide income or assets offshore. There's a true fine line between tax avoidance, which is legal, and tax evasion, which is illegal. If you have any questions or concerns over that, please give me a call. I am more than happy to talk to you about it. Any conversation is protected by the attorney-client privilege. What can I do during an audit to avoid prosecution for tax evasion? The best way in order to help the IRS see that this is not a tax fraud or tax evasion case is to have a good strategy going into the audit to begin with, knowing what your potential problems are, and knowing what documents exist in order to prove or disapprove the case. The most important thing is a good tax strategy going into a tax audit. In the event that you have a good tax strategy going in the audit, then it's easy to explain problems as nothing more than bookkeeping errors or accounting errors. That's not tax fraud, that's just common bookkeeping errors. Any conversation between you and I is protected by the attorney-client privilege, and any documents that you and I share with one another are protected by the attorney work product privileges. What can happen to me personally if my business is guilty of tax evasion? If the IRS proceeds against your business for tax evasion, what they're really doing is they're going after you individually. They're going after the officers, shareholders, and directors of the entity itself, as well as the individuals that participated in tax evasion. In the event that you're in a business that may have concerns about tax evasion, please give me a call. I'm more than happy to talk to you about it. Any conversation between you and I is protected by the attorney client privilege and any documents that you and I share with one another are protected by the attorney work product privileges. Successful defense strategies in tax evasion cases? Some of the most successful defense strategies against tax evasion is the preparation of the books and the records before we meet with the special agent, before you meet with the revenue agent. It's imperative to make sure that the books and records are defensible, that we know exactly what the potential issues are, and that we have a defense for every one of them before you emet with the revenue agent. Timing is critical. The earlier you contact a tax attorney in order to prepare your case, the better off you're going to be, the easier it's going to be to talk the revenue agent into not proceeding criminally, and to keep it at a civil level. Any conversation between you and I is protected by the attorney client privilege and any documents that you and I share with one another are protected by the attorney work product privileges. Do I have to surrender all documents requested by the IRS during a tax evasion investigation? In the event that the IRS revenue agent is asking specific questions such as, "Why did you do a particular item? ", those are questions specifically intended to determine whether you have or evil motive or the specific intent. Those are the type of questions that you have to watch out for. If you hear why type of questions, those are the types of questions that you want to hire a tax attorney as soon as possible because the IRS is proceeding above and beyond just a regular civil examination and they may be looking into criminal charges at that time. If I am being investigated for tax evasion when should I cooperate and when should I not cooperate? If you're being investigated by the IRS for tax fraud or for tax evasion, the issue will come up as to when should you cooperate. If a special agent is investigating your case for tax evasion, the special agent is the investigating mind. They're the ones that are collecting all the information and the evidence to be used against you. They have the burden of proof. The more you cooperate with the special agent, the easier it is for them in order to comply with their burden of proof. That's the first step. The second step is when the special agent completes his investigation, they'll refer the case onto the Department of Justice to prosecute the case. Cooperating with the assistant US attorney of the Department of Justice is a different matter all together. At that point, there will be a period of time that you can potentially negotiate a plea bargain and that's the time in order to cooperate with the assistant US attorney, but not before. In addition to that, under the federal sentencing guidelines, there happens to be a downward departure for voluntary disclosure of the offense. If you can cooperate with the assistant US attorney during the Department of Justice prosecution of the case, then you can negotiate. That is a downward departure. In the event you have any questions or concerns about this matter, please give me a call. I'm more than happy to talk to you about it. Any conversation between you and I is protected by the attorney client privilege and any documents that you and I share with one another are protected by the attorney work product privileges. If my spouse is guilty of tax evasion what can happen to me? If your spouse is found guilty of tax evasion, got criminal charges against that person only, it doesn't affect you for the criminal charges. However what happens is after the criminal case over with the assistant US attorney refers the case back to the Internal Revenue Service and they proceed on a civil matter. Now you have a six year statute of limitation for the IRS to proceed the last six years against you civilly even though they went after your spouse on a criminal matter. If your spouse is being charged with criminal tax evasion or there's the allegation of criminal tax evasion please give me a call, I'm more than happy to talk to you about you and your rights. If my business partner is guilty of tax evasion what can happen to me? In the event that your business partner is involved in tax evasion or is found guilty of tax evasion, only he will go to jail through the Department of Justice, you will not. However, you still have the civil matter that you have to deal with afterwards. If you're involved in business with that person the IRS will audit the business after the tax evasion charge of which there's a six year statute of limitation for that and they'll proceed against the business. If you are an owner, director or shareholder of that business you will be effected as well. Any conversation between you and I is protected by the attorney-client privilege and any documents that you and I share with another are protected by the attorney-work product privileges. If I am found guilty of tax evasion can I file an appeal? 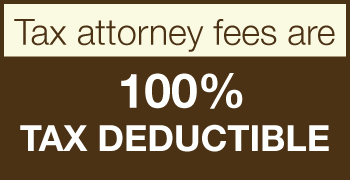 If you're found guilty for tax evasion don't worry, you can file an appeal. There's two avenues. The first is there is s a federal sentencing on date and you want to put everything you can in on that in order to reduce the federal sentence as much as possible. Then in the event that that doesn't work, or you're not satisfied with that result, then you can file an appeal and the appeal would be up to the 9th Circuit Court of Appeals. In the event that you feel that you are not competently represented and you are found guilty for tax evasion, we'd be happy to discuss your case with you and what we can do is we can go to the Assistant U.S. Attorney, discuss the case, discuss the federal sentence and discuss a possible appeal to the 9th Circuit District Court of Appeals.